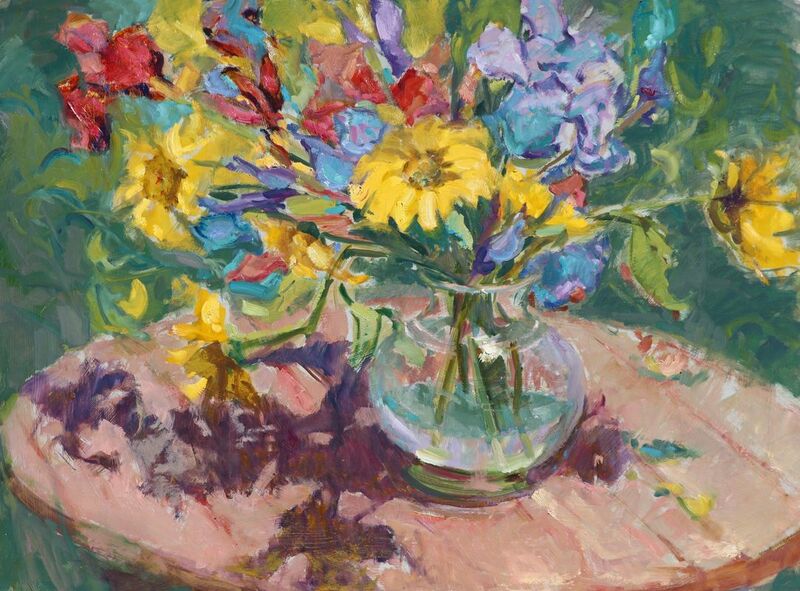 ﻿Anne Marie Oborn is well known for her Russian Impressionist oil paintings of bravura landscapes, sunlit florals, and vibrant portraits. Her works are painted in colorful detail, reflecting the emotional nature of the subjects. After graduating from Idaho State University, Anne Marie was a scholarship student under Sergei Bongart at his Rose Estate in Idaho. She has assisted Ovanes Berberian at his summer workshops for several years and painted with his brother Galust Berian. Anne Marie has also studied with Zhang Wen Xin from China. She completed an intensive, thirty-day course of instruction in St. Petersburg, Russia at the Russian Academy of Art taught by master artist, Igor Vadimavich Petrov. 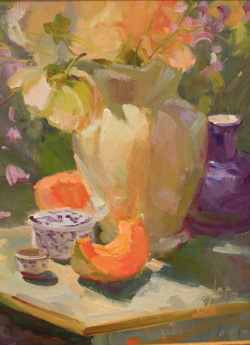 As a signature member of Oil Painter's of America, Anne Marie has exhibited in their national shows. 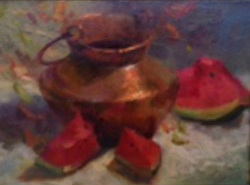 She has also exhibited with the AAWA (American Academy of Woman Artists) at the Phippen Museum of Art in Prescott, Arizona. 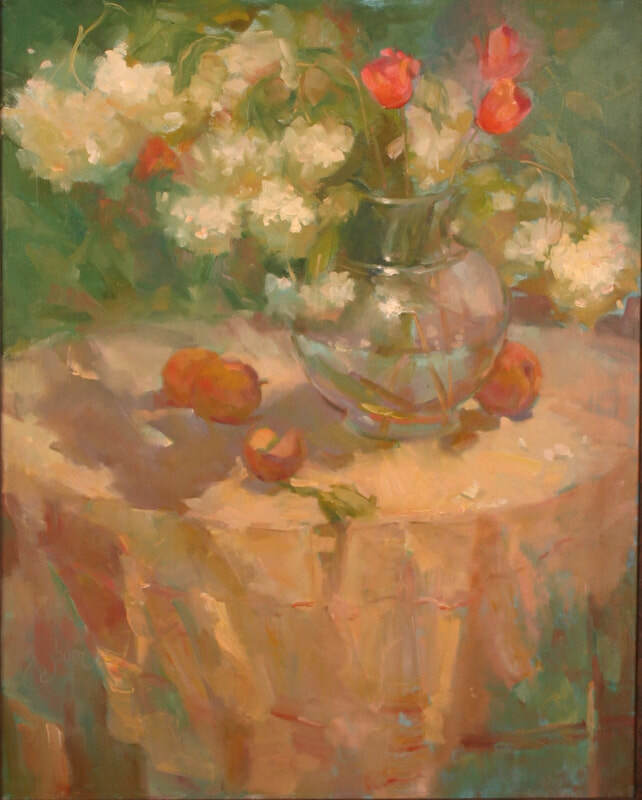 She is a founding member of the Inspirational Art Association and the Plein Air Painters of Utah. She is one of four artists participating in Project Compassion, painting the beloved soldiers free for their families. She completed three large paintings for the new Lake Forest Women's Hospital in Chicago, Illinois. She is a skillful illustrator, with many of her works appearing in magazine and book publications, including the International Art Magazine, Ensign, Liahona, The Simple Secret to Better Painting, The Best of Portrait Painting, and The Best of Flower Painting published by NorthLight Books. Anne Marie was commissioned to illustrate His Gift by Richard Paul Evans, The Daffodil Principle by Geraldine Edwards, and A Mother's Love by Deseret Book Company.